More details are coming out about the Hart family. Authorities in California are searching for answers after two adoptive parents and their six children were in an SUV that went off a cliff in Northern California. Jennifer and Sarah Hart, both 39, and three of the children, Markis Hart, 19; Jeremiah Hart, 14; and Abigail Hart, 14, have been reported dead. Their three other adopted children are missing, 16-year-old Hannah Hart, 12-year-old Sierra Hart and 15-year-old Devonte Hart, who is known for a viral photo in which he is hugging a police officer in November 2014, are still missing. The family lived in Woodland, Washington, near Portland, Oregon, and were reportedly on a road trip. 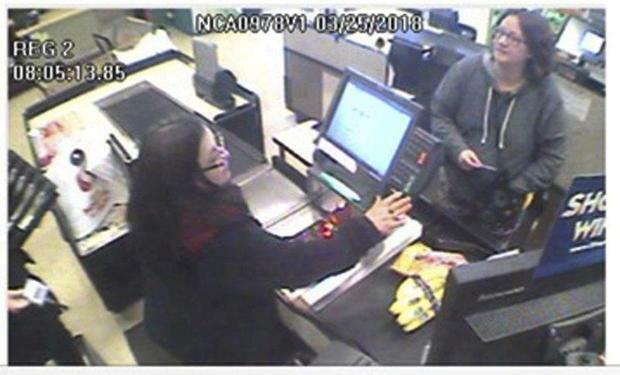 Now according to CBS News, they have obtained a surveillance image, which was taken at a Fort Bragg, California Safeway on March 24. The believe the image is of Jennifer Hart. See below. The six children were homeschooled and there are years of documented abuse, dating back to 2008. Several neighbors also confirmed the abuse. Also, all of the children were adopted in Texas, even though Jennifer and Sarah Hart did not live in Texas. 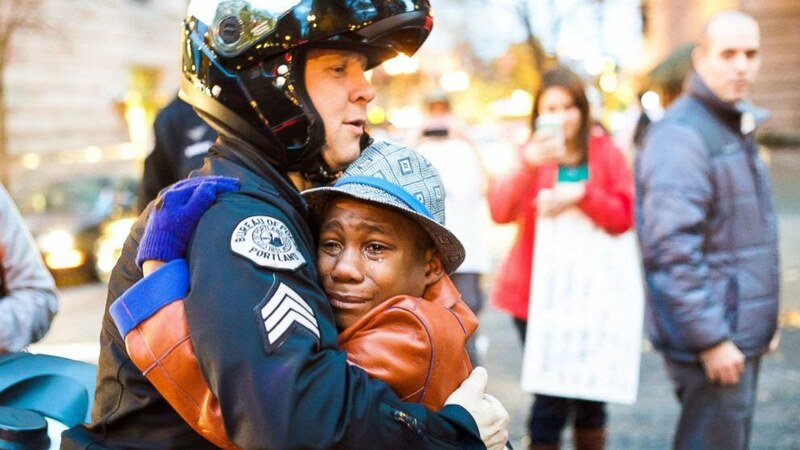 Below is the famous photo of Devonte Hart. We hope Devonte and his siblings are found.